This week, Sound Opinions explores the art of songwriting. Jim and Greg talk to some of the biggest pop hitmakers of the past and present. First, a conversation with the legendary songwriting duo Barry Mann and Cynthia Weil. The husband and wife team were part of the Brill Building era of 1960s New York, and worked alongside writing powerhouses like Gerry Goffin and Carole King, and collaborated with producer Phil Spector. Mann and Weil wrote some of the biggest hits of all time, from "You‘ve Lost That Lovin’ Feelin'" to "On Broadway" and even "We Gotta Get Out of This Place." In 2011, Mann and Weil received the Johnny Mercer Award from the Songwriters Hall of Fame and since 2013, have been depicted in the Tony Award-winning musical Beautiful: The Carole King Musical about the early life and career of their friend and coworker. In this interview, the duo tell Jim and Greg the origins of their famous hits, tell stories and reflect on what could have been had Barry released “We Gotta Get Out of This Place” before The Animals. It's a big year for Aretha Franklin. The“Queen of Soul”just turned 70, and her bestselling album, Amazing Grace, turns 40 this June. No, you won't find megahits like "Respect" or "Think " on Amazing Grace's track list, but this 1972 album of gospel covers influenced rock and rollers as diverse as the Rolling Stones and U2, and transformed gospel as we know it. In honor of the anniversary, Jim and Greg do a classic album dissection of Amazing Grace. They're joined by Aaron Cohen, Downbeat editor and author of a book on Amazing Grace for the 33 1/3 series. Everything Aretha did in this era, Aaron explains, she did in a big way. Her return to gospel music after over a decade in the pop wilderness was no exception. The record was recorded live at a Baptist church in Watts, Los Angeles over two days. Gospel luminaries including singer Clara Ward and Aretha's father, the Reverand CL Franklin, were in the audience (as were the Stones' Charlie Watts and Mick Jagger). 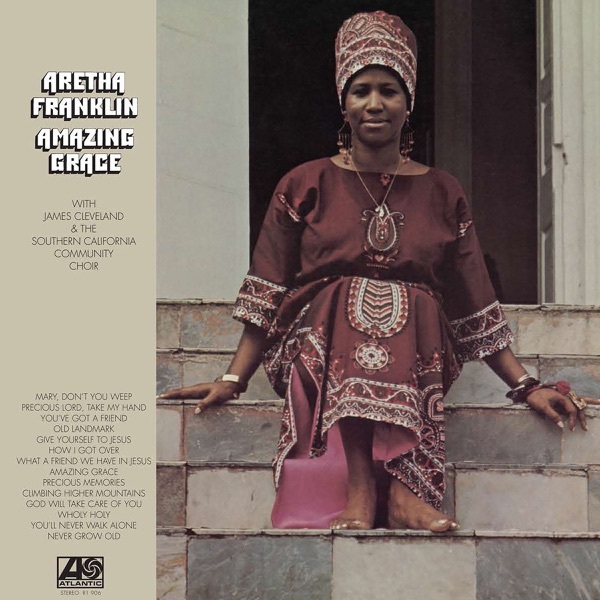 Freed from the constraints of cutting a three-minute single, Franklin takes her time on Amazing Grace, stretching songs and combining them in surprising medleys. But the real magic of the album, Aaron contends, comes from the combination of Aretha's voice with that of Reverend James Cleveland's Southern California Community Choir. This combination of star soloist and choir became standard in gospel music from this point forward. As always with classic album dissections, Jim and Greg choose their own tracks from Amazing Grace to highlight. Jim goes with "Precious Lord (Take My Hand)/You've Got a Friend," a medley that melds a classic gospel tune with Carole King's decidedly secular pop hit. Greg chooses "How I Got Over," a Clara Ward cover that, he explains, was closely associated with the ongoing civil rights movement.